From today's radiosession, the debute release by the Feenom Circle. 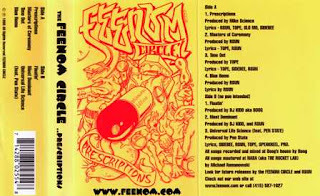 According to an interview on hiphop-elements.com, 2000 copies of this were distributed hand-to-hand, only in cassette format. 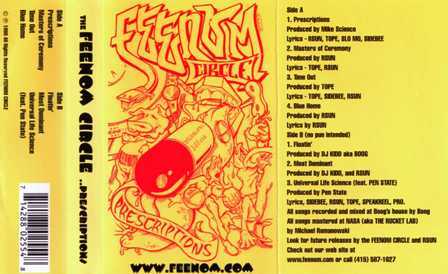 The Feenom is Rawj, Sidebee, Tope 1, Boog and DJ Panic. Proper studio quality sound. Very nice.